Knowing and managing self is the key to effective leadership. Dr. Roberta Gilbert teaches the system developed by Murry Bowen making a difference in the lives of so many people. Dr. Roberta Gilbert is a psychiatrist whose special interest is Bowen family systems theory and its extensions and applications to individuals, families, and organizations. She is the founding director of the Center for the Study of Human Systems and is on the faculty of the Bowen Center for the Study of the Family (formerly Georgetown Family Center). She is a life fellow of the American Psychiatric Association. Her books can be found on Amazon. Today’s session is the second interview in this series. This is a very special interview indeed. This is an interview with my leadership coach, Roberta Gilbert. 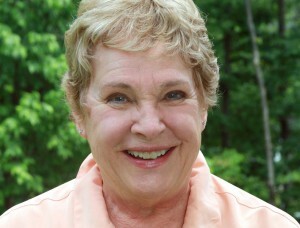 Roberta Gilbert was a colleague of Murray Bowen. If you haven’t listened to the two previous episodes, #8 and #9, I suggest you go and listen to those episodes to get a context about this leadership system that was developed by Murray Bowen. This is the first in a series of interviews about establishing a legacy. Roberta is going to talk about the legacy of Murray Bowen, the developer of Bowen family systems. Enjoy this interview; it’s rich. Hugh: This is Hugh Ballou, and my guest today is Roberta Gilbert. Not only is she a dear friend, but she has been my mentor and coach for eight years. I will let her tell about her background and history because that is a part of our discussion about leadership and legacies and people that make a difference. Roberta, I want you to know that you have made a huge difference in my life, my family’s life, and the lives of those people I work with as a business strategist and mentor. Welcome to this interview today. Hugh: I started eight years ago. I went to this ELS seminar, which was three days. My wife said she was going and asked me if I wanted to go, so I said okay. I had no clue what I was getting into. As I started delving into the work of Murray Bowen, I discovered it was a very different way of thinking for me. It took me some time to wrap my head around it. You were very patient with me and asked me some good questions along the way. Let’s back up. Tell people a little bit about your background. You are a psychiatrist and MD. How did you come to know Murray Bowen and work with him? Roberta: I think of myself as a retired, recovering psychiatrist. Also I just coach people in leadership now. I learned first about Dr. Bowen in American Psychiatric Society meetings. Then I learned more directly about him by going to his seminar in Washington. When I decided to write a book about his work, I moved to Washington so that he could be my mentor. He was my mentor for maybe eight years. So that’s a thumbnail of my relationship with him. Hugh: What got your attention when you studied his writings early on? Roberta: I thought he was crazy when I first heard of him because he was talking about a new theory. I thought, He must be a megalomaniac because we have a theory; we don’t need a new theory. We had Freudian theory, which I guess I must have thought was great. One thing he would say each time I would hear him speak kept getting my attention. The first thing I heard was “cut-off,” and I would take that concept home and start to work on my own cut-offs in my own family. I would throw it out into my practice to see what people wanted to do with it. Those who started to work on their cut-offs, it changed their lives drastically. A cut-off would be somebody in my family who has been important to me who I have cut off from and don’t really think about much anymore. In my case, it was my parents. That is a pretty serious cut-off. When I began to work on that, my life changed drastically, too. Concept by concept of his, I learned this man has a whole new way of thinking, a whole new way of helping people, and a whole new way of thinking about life. It is a very valuable way. Gradually, I could see that Freudian theory didn’t even compare with it. Hugh: Didn’t even compare with it. Why is that? Roberta: Freudian theory was a way of looking at the individual, only the individual. Bowen said in order to understand the individual, we have to look at the whole nuclear family. Freud wasn’t doing that so much. He was doing it a little, but not to the extent that Bowen was, where Bowen could see what went into a relationship, what made them better, what made them worse, the role of anxiety in relationships, and other ideas like that. Freud wasn’t concerned about those. He was more of a medical doctor orientation, and he was thinking about making people well. He was thinking about making sick people well. Bowen said what if people could continue to get better and better the rest of their lives? Forget the whole wellness and sick module. What if people just worked on being better the rest of their lives? That is indeed what people have done who have studied with him, and they are getting amazing results. Hugh: I last saw you at the Bowen Center over at Georgetown University. That is part of the legacy of Murray Bowen. You were there with a whole bunch of professionals. Talk about that center, how it came about, and the importance of that center. Roberta: He was a professor at Georgetown University. Before that, he did research at the National Institutes of Health. Then he went to Georgetown. The family center, which was originally called Georgetown University Family Center, grew up around him and his work, people who were interested in him and wanted to learn more about him and hear his teaching. Eventually it separated from Georgetown and became its own center. It is now called the Bowen Center for the Study of the Family. Bowen did die. He died in 1990. But I got to study with him maybe eight years. Hugh: Was that toward the end of his life? Hugh: I can see that center has had massive impact on a lot of people, as does your work. What I enjoy about working with you is that it’s not about you. You describe yourself as being faithful to Bowen theory whereas some people have gone on tangents of their own. You are very faithful to Bowen’s intent and concepts. Bowen has written a series of essays, and you have written a series of books on them. Tell us about the books you have written and how you put them in a series of digestible lessons for me. Reading one book brought a whole awareness for me. How many books do you have? Give us an overview of what those are. Roberta: There are five books. The first one was Extraordinary Relationships, and that is a nice entry-level book for people who are concerned about relationships. It was meant for the general public. The second book was meant for parents; it’s called Connecting with Our Children. The third, fourth, and fifth books are a trilogy for leaders. They are all the lessons of the seminar put into book form. Three years of the seminar put into three books. The first year would be all about leadership from the Bowen perspective. The second book would be the eight concepts themselves, what he taught as eight concepts of the theory. The third book, The Cornerstone Concept, is about differentiation of self and becoming more of a grown-up. I realize people had picked up this first book Extraordinary Relationships and are using it as a textbook. I don’t think it’s a very good textbook. It’s written for the general public, and it doesn’t have the theory in it. So I am writing a textbook for them right now. Hugh: This is a timeless interview, but what year do you think that book will be released? Roberta: That is a very good question. That is a question the author never knows how to answer. Hugh: We’ll pass that question then. Do you have a working title yet? Roberta: All I know is it’s for young therapists-in-training. It may be called Therapists’ Thinking Systems. But I don’t know for sure. Hugh: In a sense, Roberta Gilbert has established her own legacy. Your entity and the ELS seminars. What I love about going is it’s not about Roberta. You have reached out and are interested in people and helping them think through their own situation and development. I have experienced you working with some fairly difficult people. We had these group coaching sessions in the afternoon. I might have been one of those difficult people. Sitting in these small groups of 4-6 people and observing you working with people has been a powerful learning model for you. I learned more from observing your interactions with them than I did when I was up there on the hot seat. I don’t know why I got so nervous about it. I’m an extrovert, but not really. You have created a legacy. Tell us about the website for your entity. Roberta: The Center for the Study of Human Systems. It’s called hsystems.org. The business part of it is in Virginia. I am in Florida. I guess it’s a center without walls at this moment. Hugh: It has no boundaries. The ELS seminar I attended. Tell us what ELS stands for, and are you still doing that? Roberta: ELS stands for Extraordinary Leadership Seminar. And I am still doing it for a couple of years yet. I may retire after that. I will see how I feel. I am 81 years old. I am thinking I should really retire one of these years. I don’t feel like it quite yet. Hugh: I had shared with you before we went on the recording that I had some time with Frances Hesselbein in New York who ran the Girl Scouts for many years. She is at least 15 years your senior. We were talking about age, and she looked at me and said, “It’s not the number. It’s the quality of the years that counts.” I thought, Whoa. Isn’t that a good statement? We are not selling stuff on this; this is teaching. But I want people to know about your resources. 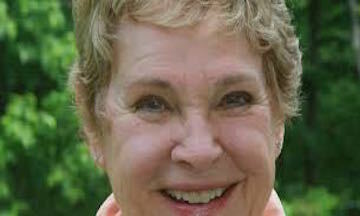 If you go to Amazon and search “Roberta Gilbert,” you will find a page with her books listed. There is not one you should not have in your library. Having the essays published by Murray Bowen, it’s a pretty thick book. With people I work with, Roberta, I suggest they start with the one you mentioned, Extraordinary Relationships. That gives them an overview. Tell us why Bowen systems is important for a leader. Why should they learn this? Roberta: I think that most books on leadership tell people what to do. They have a method. They have six points. But I don’t know of any of them that have a whole theory of life and how human life fits together in relationship systems. I think it’s absolutely essential for leaders to know that because in any work situation, in any leadership situation where people spend time together, over time, they do form an emotional system. That is what Bowen observed and described so accurately and so beautifully. For a leader to know all about that and to know the guidelines from the theory about how to conduct self in all that emotional intensity that gets going is just invaluable. I don’t know of any other work out there for leaders that gets into all of those aspects. Maybe you do. And how to be a grown-up. If anything we want in our leadership, it’s an adult-like person who can be calm and thoughtful and guided by principles when the going gets tough. That is what we would like in our leadership. This is what Bowen theory guides us toward; it shows us how to be that kind of a person. It’s not an overnight thing. It’s a gradual thing, probably the rest of my life. But it’s very well worth the effort, as you have said. Hugh: It took me about a year to really grasp the importance. It was three different sessions with you, this ELS, and then working with you monthly. Maybe I am a slow learner. It took me a whole year to grasp because I was in that other world that you described. You never in our coaching told me what to do; you asked me questions. You asked me, “Why did you do that?” and “What was the impact of that?” You helped me realize this. I would be proudly announcing something, and you would say, “Wait a minute,” and I got busted, which I found to be very helpful. I started my own leadership training and wrote about transformational leadership, which is the part of the DNA for a conductor to create a high-performing culture. The intersection for me in my humble perspective is that the leader is the influencer. If we don’t do what you just said, then we don’t generate good influence. We are a negative influence, not a positive influence, and then we set up problems. Then we yell at other people for that. I found that what I had created is magical, but learning Bowen systems was a good fit. Transformational leadership is about what you just talked about; it’s equipping the leader. Roberta: Right. Talk about a trickle-down effect. As the leader becomes more mature emotionally and more guided by principles, the whole organization begins to calm down. A lot of the relationship gunk that we have to deal with in organizations just calms down when the anxiety from the top calms down. Hugh: I have seen that over and over. I have seen conductors bark at choirs and orchestras, and they don’t get good results. Roberta: Yeah. I have sung in a few choirs as you know. I have never sung in any of yours, but I have sung in one very interesting one in Washington. One thing I have noticed is that the leader always barks at the choir to smile. Roberta: That’s the point. I keep trying to tell people, but I have not gotten through to any of them yet. If the leader would smile, the whole group would smile automatically, and nobody would have to bark at anybody. That’s how infectious emotions are. Hugh: That’s a great example. That happens in church and in corporate America. Roberta: They will be singing this joyful music while frowning and looking down at their music and not looking like they enjoy it at all. The conductor who sees that will say, “Don’t forget to smile when you sing!” Well, if he/she would just smile at the group, it would happen automatically. Roberta: If the conductor would smile and make eye contact with them, that would be something they would want to look up at. Hugh: That is a perfect example of how a leader sets up a negative dynamic and makes it worse by saying, “Smile,” or “Watch me.” Wait a minute. They know that. Let’s do something different. We do some things without thinking. Roberta: It’s a stock and trade comment. Hugh: You gave me a quote in the advanced session that Bowen said that it’s okay to have empathy, but you have to get out of it quickly, or something like that. Bowen systems is the antithesis of that. Tell us a little bit about this thinking self and how responsible leaders manage themselves. Roberta: We have already intimated about the importance of the leader being calm. Bowen said, “You don’t have to be perfectly calm because let’s face it, no human being is, but one should strive to be the calmest one in the room.” What was your question again? Hugh: The antithesis of the Freudian thinking/feeling and the Bowen thinking/thinking. Emotional thinking. Roberta: When I calm down, I can think better. Much of the workplace problem has to do with thinking, solving problems, getting the work out, getting the work done. What we have learned is that anxiety is never gone completely, but when it gets to a certain level, it interferes with getting the work done. It turns out that as I become more thoughtful, as I turn on my thinking brain and stop worrying so much about what I feel, as I turn on my thinking brain, the feelings automatically calm down. How nice to know. Who knew? How nice to know. We have an automatic handle on these anxious emotions. We can use it whenever we want, so the leader can learn to be calmer. The leader can learn to think more and be calmer that way. As that happens, the whole organization clams down. Hugh: I have seen that happen. It absolutely works. I have seen the opposite happen way too much. Roberta: But our culture is trained in paying so much attention to feelings that I think the whole organization can get off-track with that. Hugh: There are people who teach emotional leadership, and I just don’t get it. We must remain in our thinking selves. This whole Bowen system helps me back off and reflect and think through something, which is powerful. I have been to 19 cities doing a workshop. The #1 issue with leaders is leader burnout, and the #2 issue is lack of board performance. Part of that setup is the overfunctioning/underfunctioning paradigm: the reciprocity between the leader overfunctioning and the board underfunctioning. That is something I see more often with leaders with this anxiety that comes out of their overfunctioning because people aren’t performing. What I also like is all of these thinking systems components work together in a very powerful way. I guess that’s why you call it a system, right? Roberta: We call it a system because the people who spend time together form an emotional unit, an organism, of their own. What affects one affects all. Hugh: It’s like an ensemble in music. You are responding and listening to other people. At least, that is how it’s supposed to work. I want to talk about ELS. You are doing two more years at least. I found the group learning piece of that to be very subtle but powerful. There is enough time to think through because you segment each year very powerfully. Give us the website one more time. Hugh: On there, they can find the seminar. Hugh: I would highly recommend people look at that. Reading the books is great. With the seminars I went to, of course people would rotate each year. But there were clergy, both rabbis and pastors; counselors and therapists; very few people like me. I don’t like the word “consultant.” I prefer “resultant” or “insultant” to “consultant.” But it’s people that work with businesspeople. I thought we had some commonality in that we were all working with the same issues, which fundamentally was differentiation of self. How do we write our own principles? Is that where a person would start if they were thinking about Bowen systems and embracing it? Roberta: It’s written for leadership to start there. We have had a lot of business leadership since you have been in the seminar, Hugh. We have four or five every year now. It’s interesting. Educational people, counseling people, therapists. It was started for the ministry, for the clergy, at the request of the bishop’s office of the United Methodist Church of Virginia. That was historically how it started, but other people have joined in. Hugh: That’s great. I think people have shared their experience. That is a really good point. Before we leave, the third year students in the process write a paper. I wrote mine on guiding principles. You might remember I said my number one guiding principle is always to remain calm, and my number two guiding principle is to refer to number one. That was me being very transparent in front of you and a whole group of consummate professionals. That was a really good experience for me: getting out of my comfort zone. It was a good experience writing that paper and defining my guiding principles as a person in a family, but me as a person who is a professional resource for other leaders and how I would conduct myself. As we wrap up here, differentiation of self comes from knowing and utilizing our guiding principles, correct? Hugh: Differentiation of self is one of the eight, but it’s so important to know who we are. There is the fusion piece. We don’t want to be fused. I tell a story: When we first moved to Blacksburg, there was a guy who said, “I am voting for Obama because I am a yellow dog Democrat and that is what I was taught and what I do,” and he was 65. At the same time, Colin Powell said, “I am voting for Obama. I am a Republican, but I am making a decision based on facts.” We have somebody who is fused with their family and then somebody who is taking charge of themselves and making a responsible thinking decision. Those are two different dynamics of: Are we making decisions based on our principles? Roberta: Exactly. The more adult-like I become, the clearer I work on getting to my principles, and the more I refer to them to guide me through life. For me, of course, these eight concepts are some of my guiding principles in conducting myself through life. Hugh: I would say in the eight years I have known you, you are very faithful to your principles and to your mission. It’s a powerful mission. Speak a little bit about what kind of impact this has had on people who have gone through this. What kind of results have you seen that has made you feel like you have made a great contribution to them? Roberta: People line up wherever I go to speak. They line up to have me sign their books. Then they tell me stories about their experience with the book. As far as the seminar goes, one of the most interesting ones that sticks in my mind—of course, there are many stories because it’s been going now for 20-something years—is I used to say that if you are in a small group or congregation, it does form an emotional system. I am not so sure about a big group. I am not so sure about a big congregation or a big work group. But there would be a lot of emotional systems within a big group. A choir, a board, different committees. At the end of that year, one of the clergy came up to me and said, “Dr. Gilbert, I remember you saying that, but I can tell you that my church is 600-strong. When I began to work on myself, I could see an immediate effect on all 600 people.” He said that it does work in bigger groups. There is a systems effect even on large organizations. And I never forgot that. Hugh: Wow, that is powerful. Hugh: It’s very powerful. We have your website and your books. I have a personal testimony. It’s been very important to me, and I have outlined some of the concepts in the previous two podcasts. As we wrap up here, anything we didn’t cover? Or is there an essential piece of information that you want to share with people as a parting comment? Roberta: I think the most important thing for people to learn is try to be the calmest one in the room and think it through. That would be my parting comment. Hugh: And a good one, it is. This is Hugh Ballou with Roberta Gilbert. Thank you so much, Roberta, for the gift of your time today and sharing your passion and your wisdom with people.